Luis Manzano admits that he has his share of down times this year and it includes his controversial break up with actress Angel Locsin. 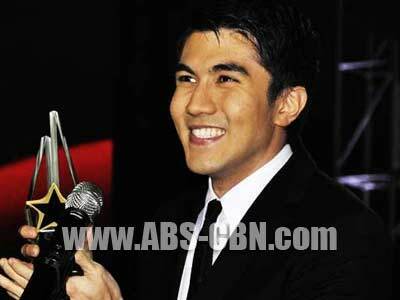 Year 2009 is in fact a shower of blessings for young actor Luis Manzano. It is in the said year where he actually had his break as a commendable dramatic actor with his blockbuster movie entitled In My Life. But just like any other human, Luis admits that he has his share of down times this year; and citing one of it brings us to his controversial break up with actress Angel Locsin. Simply put, Luis claims that life must go on, most especially now that a new year is bound to start. For the upcoming 2010, he basically prays for a better life, not only for himself, but for his family and friends as well. As for Angel and him, he says that he is still hoping for the best; but for now, he is very much thankful for the fact that they are still in good terms.